My super hero son didn’t understand. I climbed on the lawn tractor to chop down the rapidly growing grass surrounding our home. Nate watched. He blinked. Frowned. I thought he didn’t like the noise the large piece of machinery churned up. Oh, but his frown sprouted from so much more. Over the clatter of the tractor, I heard high-pitched squeals of laughter. My two girls were doubled over with giggles. What was so funny? I glanced behind me to see my three year old son running towards the moving tractor as fast as his chubby little legs could carry him. His face was puckered into a scowl. He held a broom in his hand and was charging towards the metal monster, a look of death and determination in his eyes. 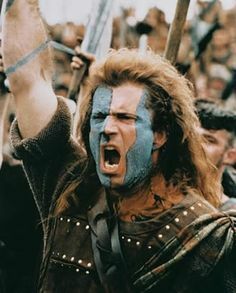 Think Braveheart, if you will. The little stinker was preparing to attack the mower with a broom. I had to gas it all over the yard to escape his blood-thirsty tirade. It suddenly hit me what the problem was…he thought the big metal monster was trying to take away his mom. I burst out laughing until rocks started raining down on me. My little hero was chunking stones as fast as he could, desperate to defend his poor mother. Needless to say, that was the most adventurous mowing experience to date. It must have been confusing to see a noisy, thundering metal monster whisk his mother away. Even more baffling was the way the vibrating beast kept circling the yard, refusing to spit his mommy out. So little Nate had done what any valiant soldier would do—attack. I thought the whole thing was pretty cute until those rocks started pelting me. It’s endearing to watch a scenario like this play out from an adult’s viewpoint. Not so much from a child’s perspective. Nate reacted on a gut level out of fear. The assumption he made was the same one each of us make, often on a daily basis. We lash out with knee-jerk reactions based on partial information and false assumptions. Put another way…we live and make our choices based on false evidence that appears real. Poor fellow. From his knowledge of the world and his childish experience, the tractor was loud, noisy and scary. Even worse, this metal beast stole his mommy away. Surely she was in danger. Surely something terrible was going to happen. Anything that loud must be dangerous. He didn’t know what I knew. What he saw as a disaster, I knew was a necessity. What he thought was dangerous was actually much safer than letting the grass grow and snakes infest the yard. I could see the big picture. He only understood a tiny portion of it. When our circumstances threaten to overwhelm us, when are shaking in fear, when we let our emotions spiral into negativity and ‘what ifs’, we need to remember that we only see a tiny splinter of God’s plan. He is writing our stories. We shouldn’t assume we know the ending based on the problems of page one. 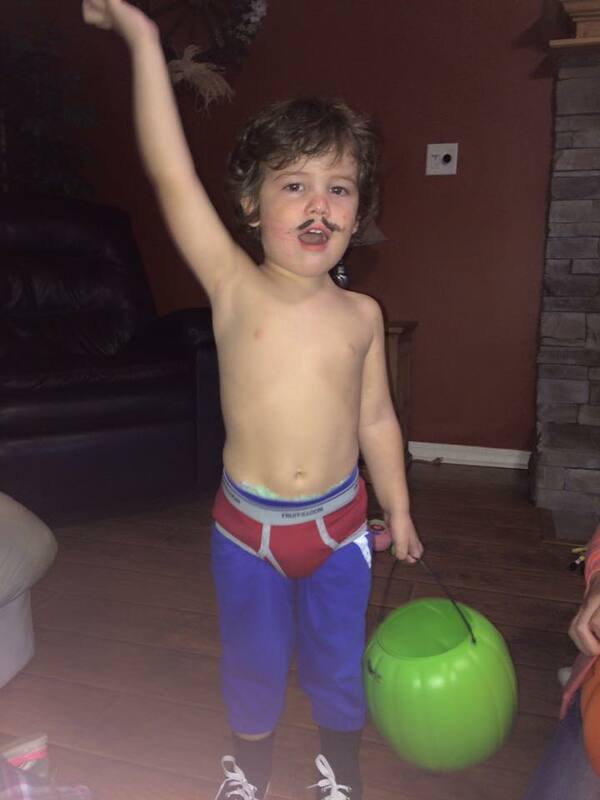 My crime-fighting son nearly hurt himself running at the mower with that broom. If I hadn’t zoomed out of his reach, he would have thrust his weapon into that running mower, and, well…I shudder to think of the outcome. When we live in fear, when we make knee jerk reactions based on partial information, over-active imaginations or our ricocheting emotions, we end up doing a lot of damage. To ourselves, to others and especially to our walk with God. 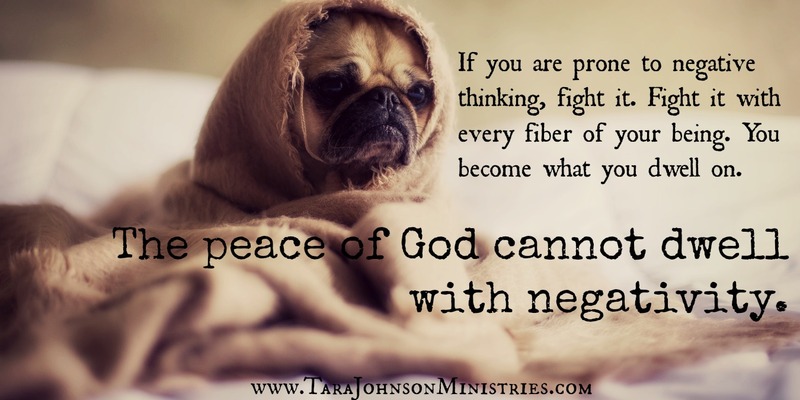 The peace of God cannot dwell with negativity or fear. The two are polar opposites. Fear is normal. It’s real, but don’t wallow in it. Don’t allow your thoughts to set up residence inside its cold grip. Sometimes, it’s nothing more than false evidence that appears real. Sometimes, it even resembles a metal mowing monster. Do you struggle with fear? What do you fear the most? 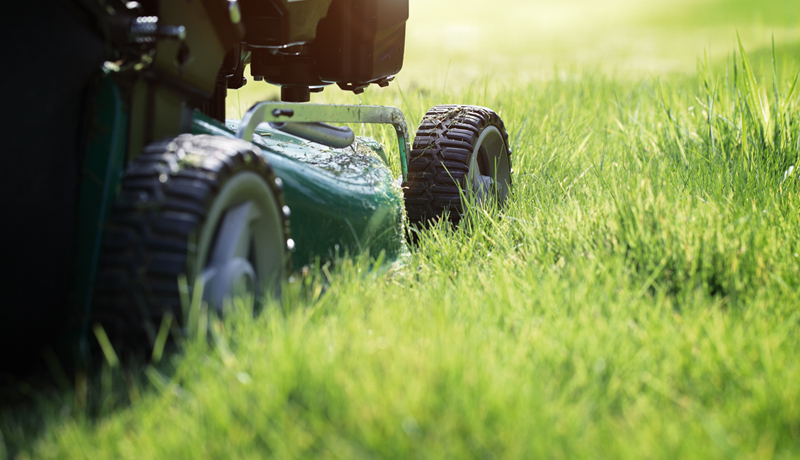 Have you developed techniques to fight those metal mowing monsters away? I would love to hear!